Join expert speaker Peggy S. Blue, MPH, CCS, CCS-P, CPC, CEMC, as she guides participants through the 2019 CPT changes and explains what they’ll need to know in order to accurately report codes and reduce the chance of denials. Peggy S. Blue, MPH, CCS, CCS-P, CPC, CEMC, is the lead instructor for the Medicare Boot Camp®—Professional Services Version as well as an instructor for the Certified Coder Boot Camp (live and online) and the Evaluation and Management Boot Camp. 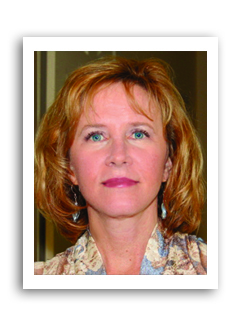 She also is an instructor for all of the ICD-10-CM/PCS-related educational courses (live and online). Prior to joining HCPro, Blue oversaw the development, implementation, dissemination, and reporting of information related to Medicare professional services training efforts for Highmark Medicare Services. (Live + On-Demand) This program has been approved for 2 continuing education units for use in fulfilling the continuing education requirements of the American Health Information Management Association (AHIMA). No problem. The On-Demand version is also available. Use it as a training tool at your convenience—whenever your new or existing staff need a refresher or need to understand a new concept. Play it once or dozens of times. A $299 value!